Hydraulic calculations completed by hand are a thing of the past. Computer programs can provide you with pages of information at the click of a mouse. However, given the demand for new sprinkler designers, there is a need to return to the basics. Designers, particularly newer designers, cannot be sat in front of a computer and be expected to get it right and understand sprinkler design the first time opening a program. Designers must understand the steps to be taken to ensure the sprinkler system will be adequate for a given facility. Designers, many times, have to read and interpret specifications, reports, and drawings before beginning the design process within the various computer programs available to companies. Furthermore, from day one, designers must have a working understanding of NFPA 13, Standard for the Installation of Sprinkler Systems. Given the number of steps that must be taken in order to design a sprinkler system, that provides a lot of room for error. Additionally, the steps are additive. The decisions made in one step will impact each step down the line. Therefore, it can be inferred that the first few steps the designer takes in the process are, arguably, the most important. The designer must first define the occupancy and then move forward to determine the appropriate design area and density for the system. Furthermore, the designer must understand how to locate the design area within the system. These steps should be completed before the computer calculation program is opened. The first step in the design process is determining the occupancy in which the system will be designed (Brock, 2012). However, this step is not always as straightforward as one may think. The occupancies within NFPA 13 have unique definitions. They do not directly correspond with the definitions one may find in the International Building Code or NFPA 101, Life Safety Code®. For instance, one manufacturing occupancy, as defined by the IBC, may not be the same occupancy classification within NFPA 13 as a different manufacturing occupancy. Per NFPA 13, areas within a building will be defined as a light hazard, ordinary hazard (Group 1), ordinary hazard (Group 2), extra hazard (Group 1), and extra hazard (Group 2). To add to the confusion, there are then special occupancy classifications of Chapter 22, particularly storage commodity classes (Class I through IV) and plastic groups (Groups A-C). NFPA 13 (2016) uses phrases like “quantity of combustibles” and expected “rates of heat release” in the definitions of the various occupancies. While the Annex has a list of examples of each type of occupancy, it is not all-encompassing. Designers must make judgment calls on what some occupancies should be classified when it does not fit easily into one of the occupancy classifications. Furthermore, many drawings use room names that may need to be interpreted regarding the actual use of such room. When designing for large warehouses, one must classify what is being stored. This is important as, many times, the owner or operators of these warehouses may not be fully aware of what is in the products. There are differences in the compositions of the different plastic groups as defined by NFPA 13. In addition to understanding what is being stored, one must also know how it is being packaged. This could cause a product from being a Class I commodity to a Class II commodity. Warehouses also have the element of storage configurations from piles to racks to aisle widths. There is no one answer for all situations when designing a sprinkler system. Designers need to be able to ask the right questions and make these decisions to move forward in laying out the sprinkler system. The occupancy classification will impact the remaining design as the various occupancies and commodities have differing spacing requirements for both areas protected and maximum spacing allowances. 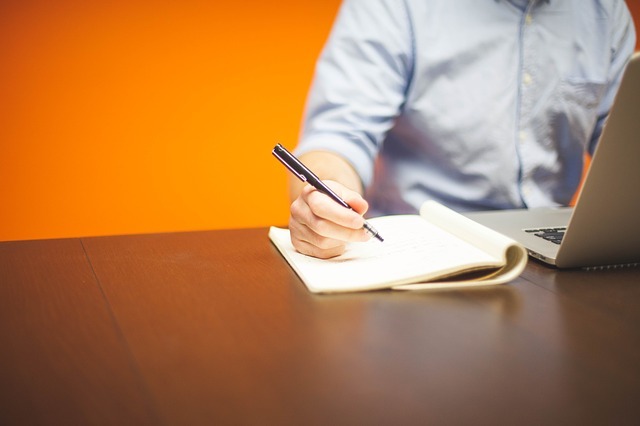 Once the occupancy is classified, the next two steps typically go hand in hand. A selection of a design area will dictate the design density. The design area and density ultimately tell you the amount of flow that will be required for a system to control the fire. The design area is provided in square feet (ft2) and the density is provided in gallons per minute per square foot (gpm/ft2). This enables the designer to begin to understand the system in terms of floor area protected and the quantity of water needed. While the curves used for the hazard classifications in NFPA 13 (2016) Figure 11.2.3.1.1 are easy to read, a designer must understand where the initial design area comes from. Is the intent of the system to provide the most economical design or a higher safety factor? 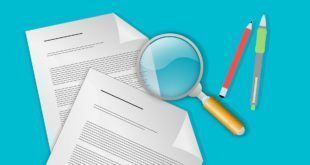 Is the design area or density driven by the jurisdiction requirements, unique design considerations, or the insurance policy? Smaller design areas are typically associated with more economical designs. Smaller design areas are typically associated with more economical designs (Brock, 2012). However, some insurers or jurisdictions may require larger design areas with the greater density assigned to the smaller area in order to have a larger safety factor (Brock, 2012). Once the initial design area is selected, the corresponding density can be determined. Then comes the various exceptions to the rules. Quick-response sprinklers? Sloped ceiling? Dry pipe system? These adjustments, as well as others, result in changes to the design area. Multiple adjustments are compounded such as dry pipe system in an attic. The original area is 1,500 ft2 and increased 30 percent for a dry pipe system is 1,950 ft2. The sloped ceiling would be increased 30 percent for a final remote area of 2,535 ft2. However, one may not understand where these changes come from without reading the associated text around NFPA 13 Figure 11.2.3.1.1 (2016). If you have a warehouse, the above figure does not apply. There are a variety of figures and tables dictating the design area and density for storage occupancies. Without successfully classifying the product stored, the designer could end up in the wrong chapter when specifying the design criteria for a warehouse. Furthermore, there are the different specialty sprinklers, such as control mode specific application (CMSA) or early suppression fast response (ESFR). These sprinklers use a design method that is not dictated by the area and density, but the number of sprinklers calculated is based upon the type of sprinkler used. The design area and density selection will ultimately dictate the amount of flow that will be required of the system. Since water is the key element in controlling or extinguishing most fires, these steps in the design process must be considered thoughtfully. Decisions will be made that meet the needs of the property owners, insurers, and jurisdiction. 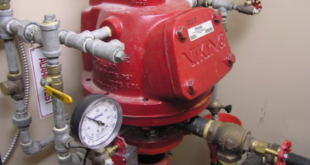 The final steps that need to be completed prior to the first pressure loss calculation are determining how many sprinklers are required in the design area, what the design area looks like, and where the design area needs to be located within the system. The number of sprinklers assumed to operate in the design area is determined one of two ways. The first way is the design area used divided by the area protected by a single sprinkler. This value is then rounded up to the next whole sprinkler. However, this calculation only works if all the sprinklers in the plans protect the same size area and no sprinklers are closer to a wall than ½ the distance to the adjacent branch line. For these reasons, it is common for this approach to identify fewer sprinklers than are actually required. The second method for determining the number of sprinklers is adding the actual floor area protected by each sprinklers until the cumulative value is at least the specified design area. (Brock, 2012) This is summarized in Figure A.23.4.4 of NFPA 13. Next, the shape of the design area must be determined. NFPA 13 (2016) requires the shape to be rectangular. To determine the first dimension, NFPA 13 (2016) requires that the width of the design area be a minimum of 1.2 times the square root of the design area. The greater the width will result in a greater system demand requirement (Brock, 2012). This width is applied to the dimension parallel to the branch lines. This approach forces more sprinklers to be included on the branch line so it would be more hydraulically demanding. For example, a design area with 12 sprinklers would have four sprinklers on the branch line. This is more hydraulically demanding than four branch lines with three sprinklers each. The sprinklers within the design area should be served by the same cross main (NFPA, 2016). Once the minimum width of the design area is determined, the location of the design area can be selected. Hydraulic calculations will need to be completed for the most demanding points of the system. This area may be at the furthest point in the system riser based upon pipe length. However, if occupancies differ throughout, it may be located elsewhere. 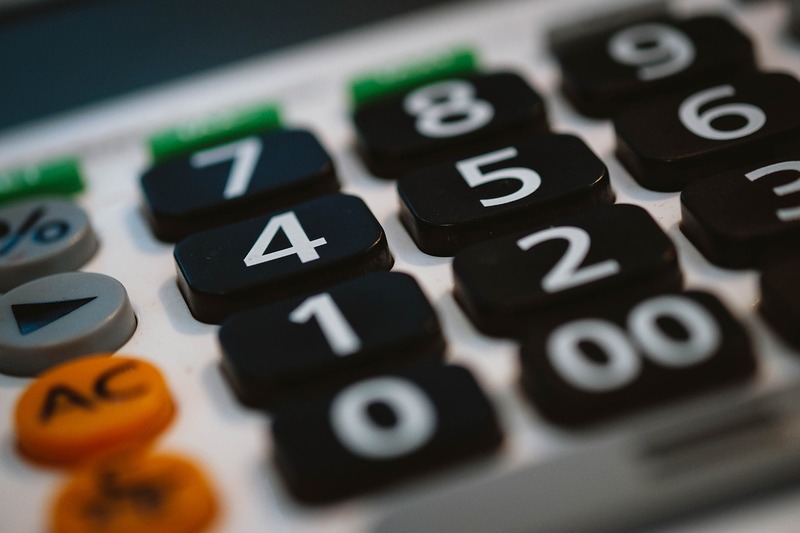 This ultimately means that one hydraulic calculation may not be enough and the designer may need to demonstrate that the system is adequate through multiple calculations. The first sprinkler in the hydraulic calculations is so critical in getting it right. Residential, extended coverage, CMSA, and ESFR sprinklers start with a beginning pressure and flow. Other sprinklers have to be determined by taking the density times the protection area per sprinkler in Section 8.5.2.1. An incorrect determination of the area causes the pressure and flow to be wrong. Sprinkler calculations subsequent to the first sprinkler will also be incorrect. Plan reviewers are in tune with that so if the first sprinkler is wrong, there is no reason to proceed with the plan review. Automatic sprinkler computer calculation programs are becoming increasingly sophisticated. They can provide a plethora of information from the traditional information on pipe lengths or sizes to the specifications of the valves and fittings used. Programs can auto-populate pipe sizes, work in two-dimensional or three-dimensional applications, or recalculate systems quickly based upon changes made to the system design. In addition to all of the benefits of computer programs, there is still an element of knowledge of the hydraulic calculations and application of the standard. Computer programs still require certain information input manually. Programs have default settings that may need to be modified. This is where having the knowledge of the design steps is so important. While computer programs have made the design and calculation process easier, it does not preclude designers from needing to understand the basic principles of sprinkler design. Without training in this area, new designers may assume that the computer program will get it right. 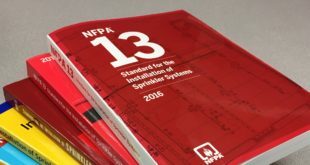 It is important for sprinkler system designers to understand the different requirements of NFPA 13. In addition to NFPA 13, designers must have knowledge of the project requirements, which may come from specifications, drawings, and the authority having jurisdiction. While each project and system design is unique, the beginning steps to each project are not. It is critical to appropriately classify the occupancy such that the remainder of the design is not impacted. The design area and density selections provide the system with the quantity of water needed to control or suppress a fire. The location and shape of the design area will ensure that the calculations will be for the worst-case scenario. Computer programs provide ease and flexibility in the design process. However, the program will not correct the errors made in the initial steps taken during the design process. The effort and quality that goes into a computer program is what will come out in the results. In other words, quality in equals quality out or junk in equals junk out. Understanding the basic principles of hydraulic design and the application of the design standard will better enable sprinkler designers to get the job done correctly and efficiently. 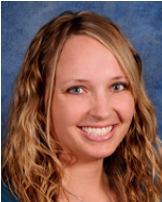 Virginia Charter, PE is an assistant professor at OSU’s Fire Protection and Safety Engineering Technology program. She obtained her Bachelor of Science degree from OSU in fire protection and safety engineering technology and her Master of Science degree from WPI in Fire Protection Engineering. She is a licensed Fire Protection Engineer in both Nevada, California, and Oklahoma. Prior to returning to OSU, Charter was a senior consultant for the Las Vegas office of Rolf Jensen & Associates, Inc. She has been heavily involved in large mixed-use properties egress design. She has developed performance specifications and conceptual drawings for fire alarm and automatic sprinkler systems, as well as construction design documents including fire protection reports, code equivalencies, and general code consulting for many projects across the nation and abroad. Additionally, Charter has valuable technical knowledge in smoke control analysis including the commissioning of smoke control systems.